The unofficial start of summer. Here in the Midwest, the weather is finally consistently warm. Kids are almost out of school and summer vacations are right around the corner. 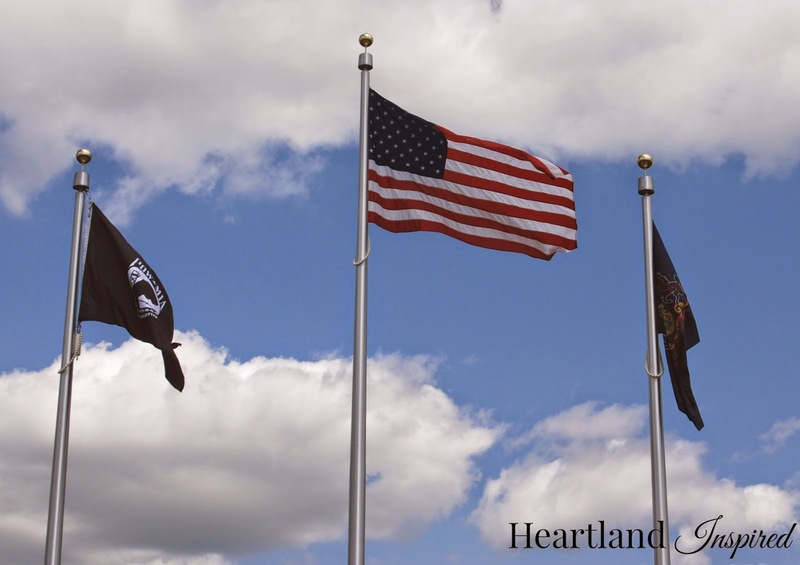 But Memorial Day is also a time to remember those who served in the military. To honor of this great day of remembrance, I thought I would share my experience at a war memorial dedication that I attended last weekend. 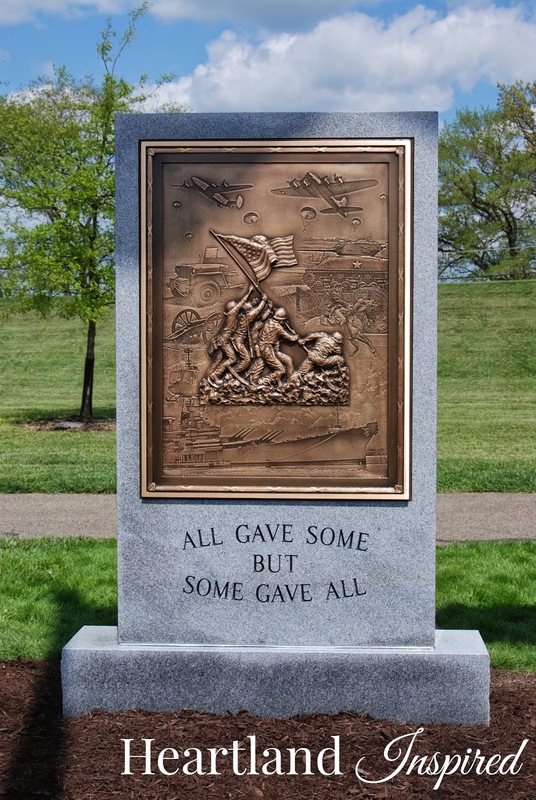 In my parents' tiny hometown of Mars, PA, a really nice war memorial was built to honor those from the area who died serving their country, as well as commemorate those who served. 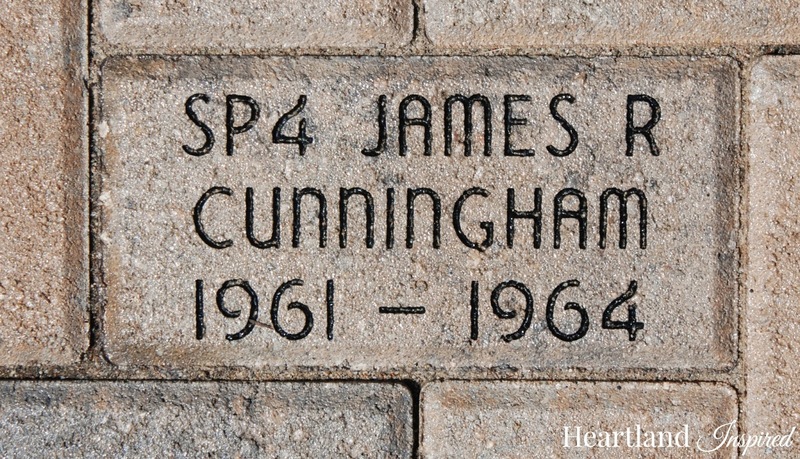 Five men in my family have bricks with their names engraved. This one is my personal favorite. It is my dad's brick. He was in the Air Force for 9 years. I didn't know my dad's dad. 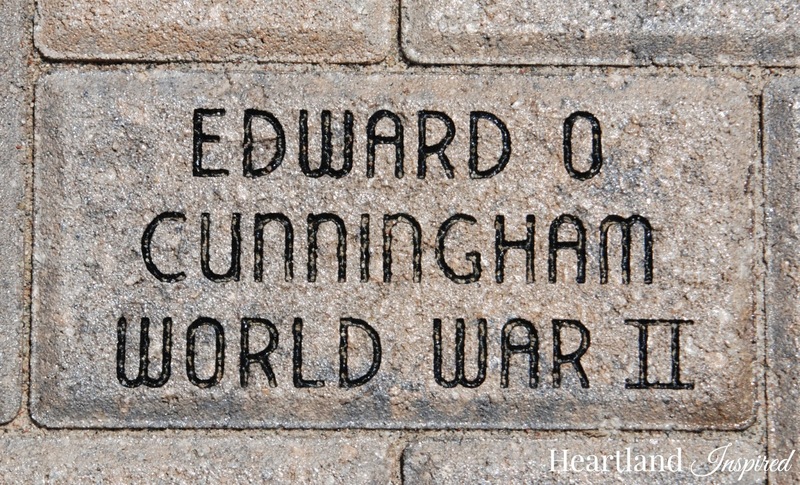 He passed away in 1950, so I can't say much about his service. My mom's dad - I didn't know him either. He was a part of the Third United States Army in Germany. His company participated in Rhineland and Central Europe Campaigns. 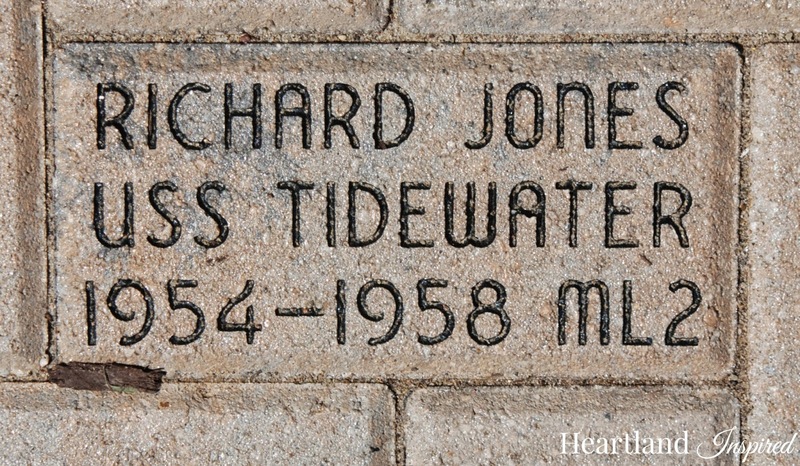 My Uncle Richard was a Navy man who was in the Korean War. He is the only other Jones brother who was in the military. My Uncle Jim was in the Army during the Cuban Crisis. He played the trumpet in the Army band, but he really wanted to go overseas. 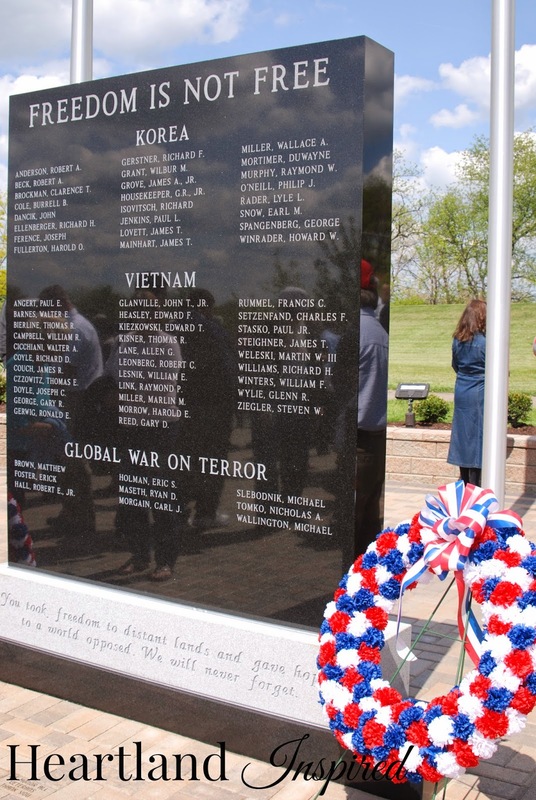 There is a beautiful granite monument that lists those who paid the ultimate sacrifice. Names are listed on the front and the back of the monument. For as small as the area is, it is astounding the number of people listed. Behind the granite monument is a smaller one that depicts Iwo Jima. 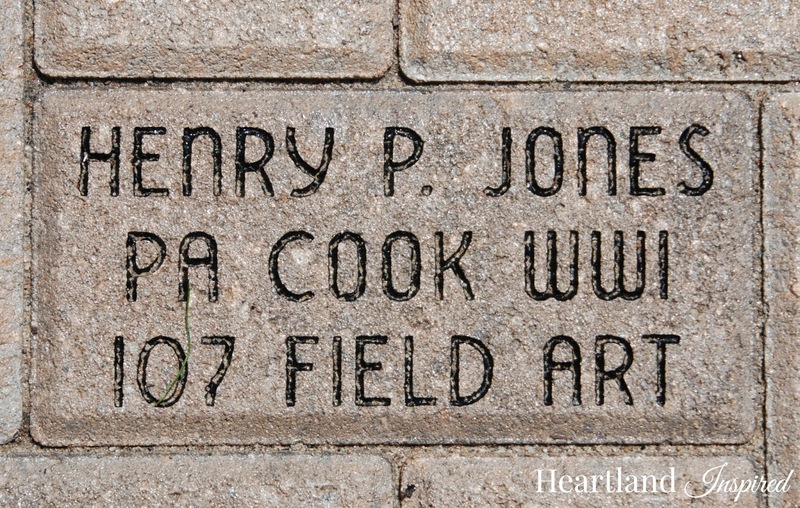 This is really a beautiful area that shows that honors time served in the military. There is a sense of pride that my dad's name is forever associated with his time in the Air Force. He was proud of his military service. He even wore a hat that said Vietnam Veteran. It was one of his favorites. 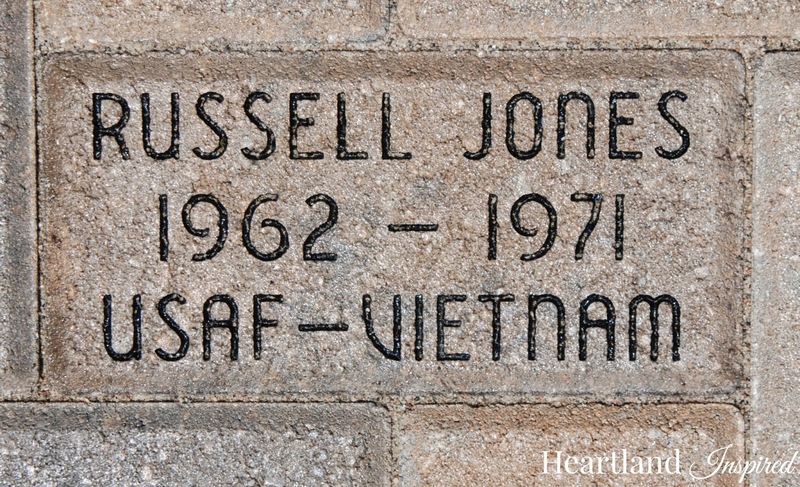 I am proud to be the daughter of a man who served his country.